1. Get oil stains spot cleaned. Parking lots develop all manner of car stains. Tires leave behind rubber and road chemicals. The cars themselves can be dripping anything from oil to antifreeze under the hood. While these stains are to be expected, sometimes they build up too much and start to ruin your lot’s overall appearance. Hire a pressure washing company to remove particularly visible oil stains. Sometimes trying to absorb the material up doesn’t work, and pressure can remove the stain without caustic chemicals. 2. Clean the surface before refinishing the paint lines. Parking lot lines fade over time, and that can make the area dangerous. 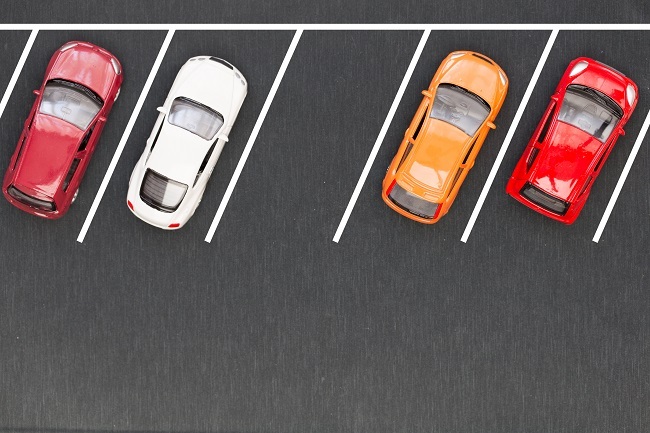 Parking lots already tend to have reduced visibility, especially at night and during winter, so clear lines are essential. But before your contractors start laying out new spaces, get the whole surface pressure washed. Not only can this help remove some of the loosened paint, it preps the surface for the new lines. Oil, organic debris, and loosened asphalt can all stop your new paint from sticking. Pressure washing the lot ahead of time makes the completed project look nicer and last longer. Oil stains aren’t the only stains that can make your lot look grungy. During the fall, falling leaves can stack up and start to decompose. That rot will stain the parking lot, even if it’s darkly-colored asphalt. Winter also brings its own set of stains, such as blue road salt. Schedule a seasonal pressure washing so you can get those stains removed before they really set in. Go to 214 Pressure Washing here to schedule an appointment to clean your parking lot. We can also help keep your sidewalks, building exteriors, and more clean.